https://conversionfanatics.com/healthandwellness cheap generic viagra mail order pharmacy In my house, teenager is a “bad” word. We don’t have teenagers. We have young adults. Now this is not my own idea. I fully acknowledge that I have been heavily influenced by Dr. Oliver DeMille and his book Thomas Jefferson Education. 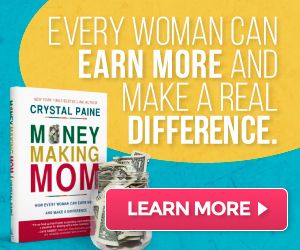 His book made me look at my kids in a totally different way – a life changer for all of us! generic viagra without a doctor prescription The expectations society has of “teenagers” today are so counterproductive to raising successful young adults! If you look at history, the “teenager” phenomenon is relatively new. The idea that the teen years should be the most fun of their lives is bunch of bologna. Think about it – do you want to believe that it is all downhill at age 19? Yuck! No wonder there are so many people these days that are trying to relive their childhood or seeking escape in drugs, TV or alcohol. I don’t know about you but I don’t want to accept that idea for my kids… or for myself! https://www.handdy.com/accounts/ buy now As I keep learning my life keeps getting better and better. I expect that for my kids too. I expect them to keep learning, make the world a better place, and be a positive influence in other people’s lives. The education I’m trying to give them gives them the flexibility to find their passion… their gift. It is amazing what happens to a kid when they know they have something special to give to the world! They still make mistakes (like we all do), but they have a vision for themselves. With that vision, they aren’t as afraid of the future so they don’t feel they have only today. order now I have five young men I am grateful to call my sons. My oldest has made it through the “teen” years and is heading into his twenties. My next two are not too far behind. It made life so much nicer since we didn’t accept society’s definition of “teenager” for them. And we have ALL been much happier because of it. The Economics of the Lego Movie!